Face Painting 4 U “The Friendly, Reliable and Professional Face Painting Company” is owned and operated by Tammy Beeks who is a professional face painter. Although based in Kingsteignton, Newton Abbot, Devon I am happy travel to your event anywhere in the UK. 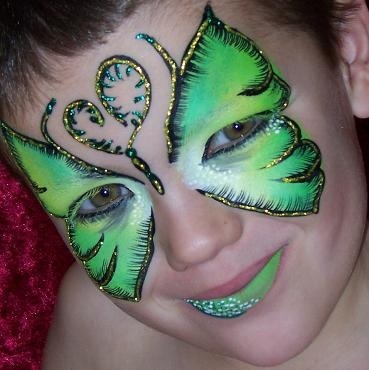 Face Painting 4 U provide a Face Painting and Glitter Tattoo service at many different types of event, including corporate entertainment, promotional events including store promotions, weddings, children's parties, christenings, fun days and festivals. I am very passionate about offering a first class service with health and safety being my main priority and promote this in all aspects of my work and the quality products I use. I change my water after every face and use a clean sponge not only for every colour but for reapplication into the products. I have been trained by various high profile artists from around the world, this has helped me to develop my own unique, bold and vibrant style which has enabled some of my designs to win awards. I have also had my work published in a step by step book and in magazines. 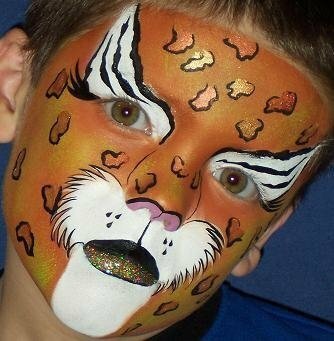 Face Painting 4 U offer many different designs from tigers to fury animals and monsters to princesses running through pirates, fairies and wherever your imagination can take you. Why not add that extra sparkle to the finished design with some Magic sprinkles or Monster Dust! Examples of my work can be viewed on the portfolio page. 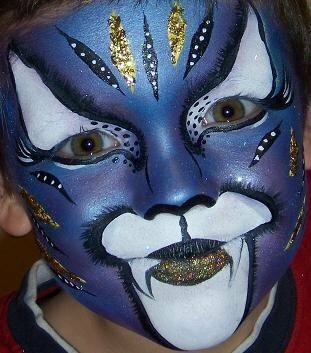 Face Painting 4 U are very privileged to network with many other painters in Devon and around the UK so if you have a large or small event we will do our very best to fulfil all of your requirements.